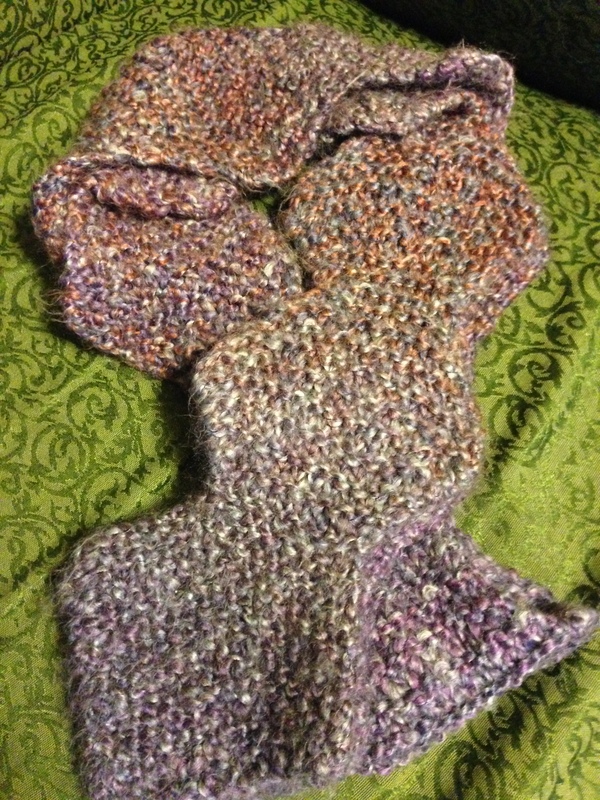 Today’s scarf I made from leftover yarn when I finished the first shawl I ever made. 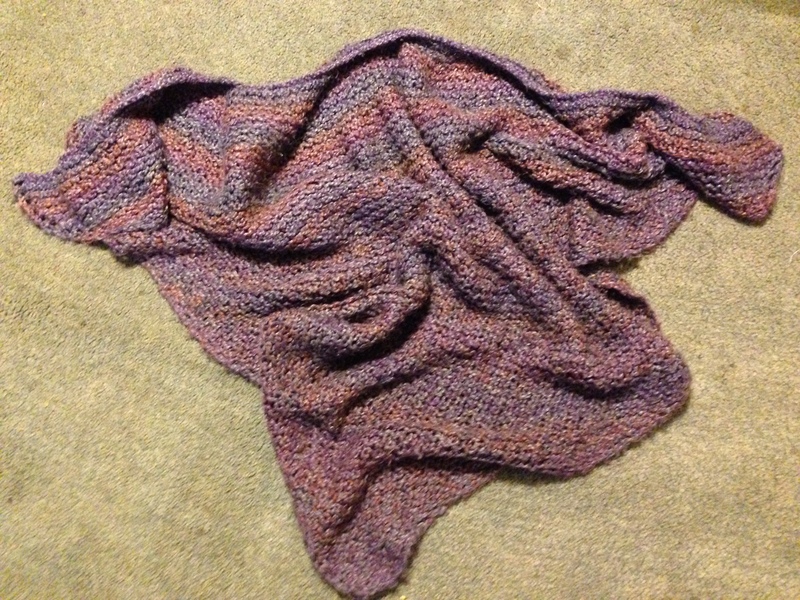 The triangle shawl called for 3 skeins of Lion Brand Homespun yarn. I ended up using 2 and a half because it was getting to big for me. I love the shawl because it keeps me so warm in the winter and half the time I use it as a lap blanket. I squished it up to get the picture. 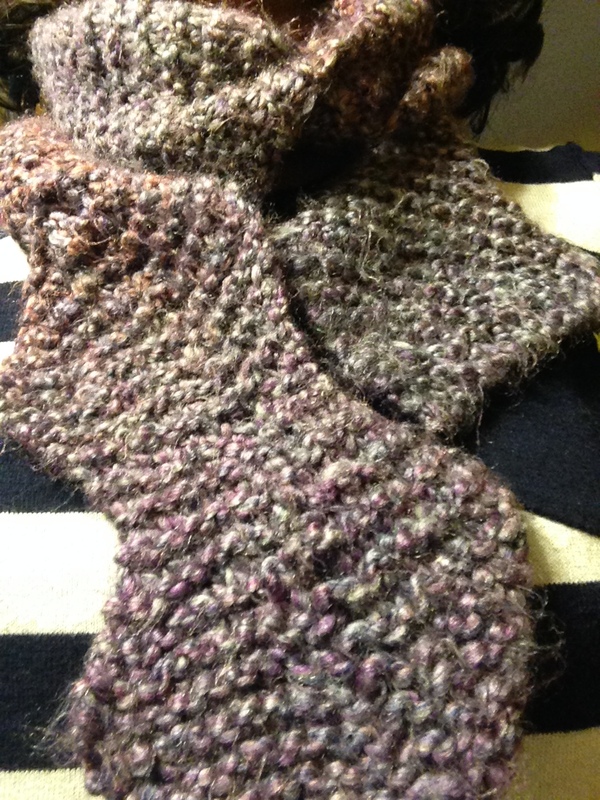 The scarf is a diamond pattern and really helped me learn how to increase and decrease with even tension. I can’t remember where I found the pattern but essentially you start with 3 stitches and then increase to 20 stitches then decrease to 3 then back to 20 and then 3. Do it over and over again until its the length you want. I used up what was left in my stash so the scarf is long and I can wrap it around my neck three times. Have you worked on a pattern to use up some of your stash? Can you believe its already been a week already?